Feel your stress melt away as you step into the 18-foot hallways of Urangaline Homestead. 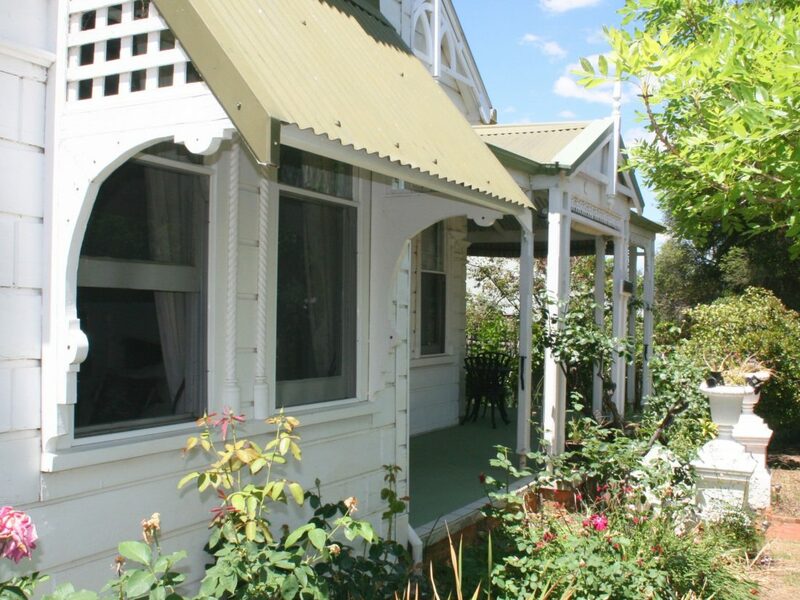 Just a short stroll to Rutherglen’s main street, Urangaline Homestead (circa 1890s) has been lovingly renovated to blend modern amenities with its period charm. Choose from three private bedroom suites all with modern ensuite, bar fridge, television, tea/coffee making facilities, free Wi-Fi and reverse cycle heating and cooling. Watch the world go by whilst enjoying a Rutherglen Red and some Milawa cheese on the majestic front porch. Or maybe connect over a baebecue out the back whilst taking in the expansive back garden. If you feel like lounging back and watching a movie, all guests have access to the communal lounge, where your Netflix options await you. Or maybe you’re finally planning on finishing that book. Enjoy the birds as you nestle under the shade of one of Urangaline’s big trees. A short drive and you will be exploring local wineries, or the picturesque Murray River.